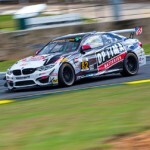 Entering its fourth season as one of the elite teams in the GRAND-AM Continental Tire Series, Dublin, Virginia-based BimmerWorld Racing went into last weekend’s season opener at Daytona International Speedway with one goal: To leave with a bounty of points. 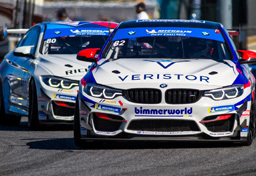 With numerous pole positions, class wins and a runner-up finish in the championship to its credit, the BMW aftermarket and tuning specialists are locked into acquiring the coveted Drivers’ and Teams’ titles this season, and Round 1 certainly kicked off that initiative in style. 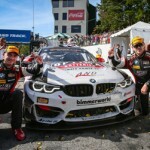 BimmerWorld left the 3.56-mile road course with two of its three entries in prime positions—a podium for the No. 81 BimmerWorld BMW 328i driven by Gregory Liefooghe Tyler Cooke, and a close-fought fourth for Seth Thomas and Dan Rogers in the No. 82 328i, which was just what the veteran team needs, according to team owner James Clay. The team’s thirst for wins will never be quenched, which makes yet another visit to the Daytona podium—albeit one step down from the top—slightly frustrating, but in the big, season-long picture, Clay knows that BimmerWorld’s strong opening at Daytona will pay dividends through the year. 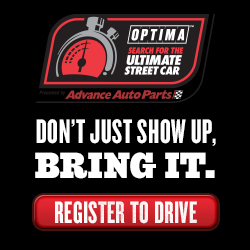 Placing two cars inside the top-4 in the Street Tuner class didn’t happen without a bit of adversity to overcome. A freak failure with the team’s refueling equipment sent BimmerWorld’s peerless pit crew into problem-solving mode, and also tasked the team’s respected engineering group to make some daring race strategy calls to get back in contention. 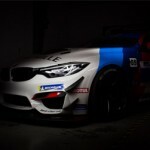 For Liefooghe, who has been one of BimmerWorld’s biggest weapons since joining the team in 2011, partnering with second-year Continental driver Tyler Cooke in the No. 81 was a major success. Cooke also had high praise for his teammate. “Greg went to the back of the pack three times and each time he got right back to the top-3, and I expect our performance in Daytona will carry on to each race,” he said. The 2012 Daytona race wasn’t kind to Thomas and Rogers in the No. 82CRC BRAKLEEN® entry, but the duo made up for it with a solid fourth in 2013. The only sour note to the event for BimmerWorld came with an oil pressure issue that forced the No. 80 328i out of the race prematurely. For Greg Strelzoff and Connor Bloum, the team’s newest driver combo, it wasn’t the result they envisioned, but they anticipate picking up right where they left off when Round 2 arrives in one month. Bloum, showing maturity far beyond his age, echoed his teammate’s optimistic outlook on the No. 80’s potential. 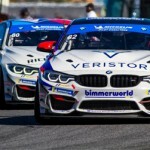 Follow BimmerWorld’s progress as it prepares for Round 2 at Circuit of The Americas by visiting www.BimmerWorldRacing.com, and tune into the Daytona race broadcast on February 2nd at 4 p.m. ET on SPEED.